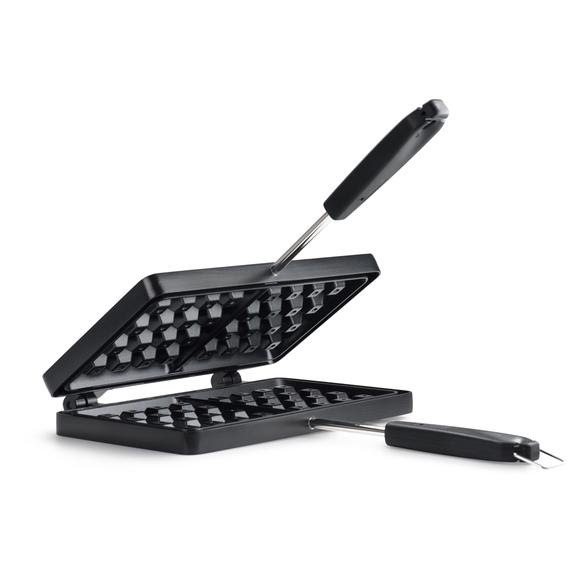 The Bugaboo Waffle Iron from GSI Outdoors is a compact stovetop or campfire waffle maker that will fit seamlessly into your kitchen box. Bugaboo cookware's dependable, non-stick coated, even-heating surface and light weight epitomize value and versatility. The Bugaboo Waffle Iron from GSI Outdoors is a compact stovetop or campfire waffle maker that will fit seamlessly into your kitchen box. Bugaboo cookware&apos;s dependable, non-stick coated, even-heating surface and light weight epitomize value and versatility.